Help Speedy Sparrow struggle with a group of stubborn ladybugs! Your task is really simple - touch ladybugs to make Speedy Sparrow peck them. None of the ladybugs can leave the borders! Along with collecting points you may unlock new types of ladybugs, which will have completely new features and will allow you to get more points! You will meet toxic ladybugs you shouldn’t mess with, armored ladybugs or even ladybugs sending bullets towards you… During the game you can also make COMBOS (by pecking two or more ladybugs at one stroke) and get even more points. Good luck! Numgo is an addictive number puzzle game in which your task is to remove the same number groups and get as many points as possible. You get points according to removed number quantity and value. You can move numbers horizontally to connect the same numbers in large groups. Every ten removals lowest numbers will be changed to higher values. When all numbers will be disconnected, your game will over... Good luck! FUNNERS - the funniest virtual pets! Meet the funniest creatures of the world of Funners! 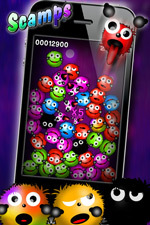 Play funny jokes on other players, meet fly, spider or even a ufo! Feed, play in mini-games and engage in sports. Lots of fun is guaranteed! Best Drum Kit is free application that allows you to play drums on your phone or tablet. You can get easy pleasure with playing easy beats or use full multitouch support to create complex rhytm patterns on wide range of realistic percussion instruments like cymbals, hihats, crashes, rides, 4 toms, kicks and snares. Real drum sound is right under your fingers! Jet Space is a shoot'em up game based on an old and best shoot'em up games with many new ideas! In the game player have to control the spacecraft in the environment of underground caves, protected by bases, rockets or UFOs objects targeted against the attack of alien civilizations. The spacecraft is equipped with weapons, by means of which user can carry out massive alien attacks. Any destruction of the enemy unit will be rewarded with crystals which player can collect and spend in the game shop. As a result, player will be able to enhance his spacecraft. Jet Space game offers also in-game missions system which allow to collect additional crystals and points. Become a worker of a sorting plant and sort fresh fruit in this addictive Fruit Sorter game! 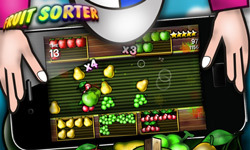 Get Fruit Sorter and have endless fun! What is a pig like - everyone knows - it's just a pig... However, can pigs have any dreams? They can but what can a pig dream about? Maybe about a tone of soft potatoes in the trough? About two comfortable bunches of hay? Nooo! A pig dreams about being a big pig, such a big one that everyone can see and admire her! Pigs want everyone to say: - Oh, that pig is a big pig! But which pig would be big and admired? A solution can be found for everything! You just need to try to build ... a monument for a pig! A big great monument! Such a monument that the pig could stand on proudly and shows her graces to the world! So make all the dreams of a pig comes true and make pigs big! Scamps inhabit one of the distant planets. They are nice and hairy creatures you will like. Unfortunately scamps have one problem - there is so many of them that there is no space on their planet for all of them! Help scamps and send them back to other, neighboring planet! Crush boxes on your Android Phone! 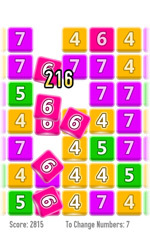 BOX Crush is a new approach to popular games in wich your task is to clear the field of appearing elements. By incorporating elements of physics, BOX Crush will offer you a wonderful and absorbing entertainment. Your task is to arrange and crush falling boxes. You can crush boxes in several ways - by appropriate arranging of boxes, which are destroyed under its own weight, by destroying boxes in the same colors or by using special boxes which have different properties. Glow Paint is an application simulating glow or neon painting on the touch screen of your mobile phone. Glow Paint allows you to select one of 10 colors of paints, three glow sizes, several background patterns and templates, Undo or Redo the last brush movement. You can also save your created image as a file, set as wallpaper or share image with your friends. 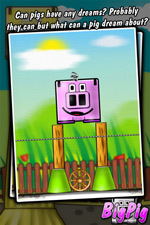 Bull Rush is a funny and addictive free game for Android Mobile Phones in which your task is to help the bull run to the beloved cow. Your task is seemingly simple - you have to help the bull with jumping over the appearing obstacles on his way and collect symbols of love, which the bull will give to the beloved cow expecting him at the end of each level. In time you will see, however, that the task is much more difficult - the way is full of obstacles that you need to avoid with a double jump, and sometimes you have to even destroy them. You should not be surprised that sometimes your bull will have to jump into the water. Sometimes you will find cans of a drink which will give your bull the strength! However, be careful, because the effects of the drink will not be always the same! Bull Rush will be great game for gamers which love games such as Angry Birds, Cut the Rope and other simply and addictive casual games. Spray Painter is an application simulating spray painting and creating wonderful graffiti on the touch screen of your mobile phone. This application allows you to select one of 10 colors of paints, three spray sizes, several background patterns and templates (NEW!). You can also save your created image as a file. Enjoy!